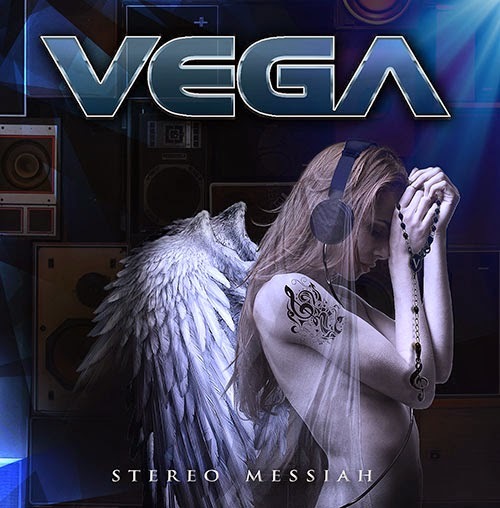 Rock & Metal 4 You: CD-Review: Vega - "Stereo Messiah"
When I first heard of Vega back in 2010 I thought this is just another Frontiers AOR project, but look what they have become: a very good Melodic Rock act, that gave us some amazing songs on two albums and a band that is known for their continuity. You can count on these guys and so it is no wonder that the third effort "Stereo Messiah" has again a bunch of hits to offer. I always had a strange relationship to Vega - they amazed me and at the same time they also disappointed me a bit with each album. This is due to the fact that the UK-Rockers always delivered some fantastic melodic jewels to die for on the one hand and on the other they destroyed the picture of the perfect Melodic Rock record with some fillers on each album. "Into The Wild", "White Knuckle Ride", "Cry", "Saviour", "Hands In The Air", "What It Takes" and so on belong to the best songs the Melodic Rock genre has to offer in recent years, so it is a shame that some other songs stopped my enthusiasm. And what has "Stereo Messiah" to offer? I would say the same mixture, but this time you just find three fillers on this record and this is definitely a step in the right direction. Musically "Stereo Messiah" is the the logical continuation of the sound they developed on "What The Hell!" 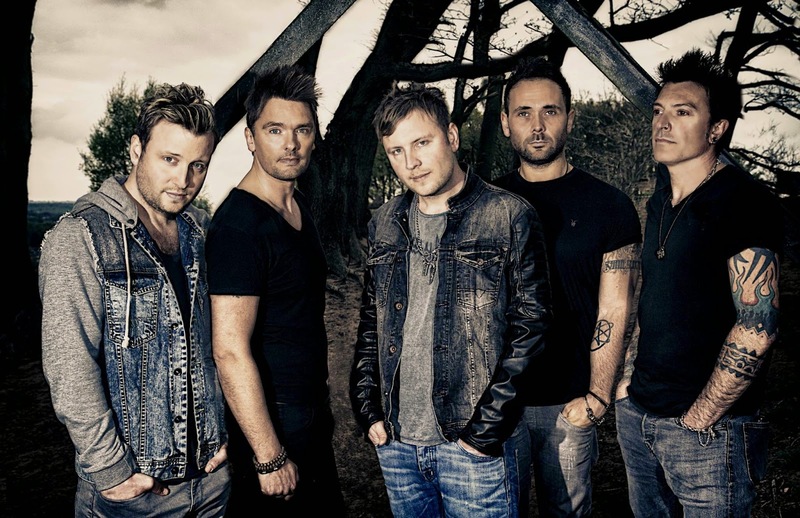 That means the songs have a modern edge and the focus lies on tasty guitars, soaring vocals and earworm melodies. I can't help myself, but the new record reminds me somehow at the newer stuff from Sweden's Melodic Rock heroes H.E.A.T. - the style of Vega is very similar on this record, but this is not a bad thing because "Tearing Down The Walls" is simply one of the best albums this year. Let's take a closer look on the songs: The title track opens the album and what can I say - this was not the best start, because this is one of those songs I would call a filler, simply because it can't grab my attention - you have heard this kind of melody on various other Melodic Rock albums. But with the second track the album really starts. "All Or Nothing" is a Melodic Rock gem all the way. This one really pulls you in and makes you sing along for days. This is the kind of song I want to hear from these guys! Same goes to the fantastic "Wherever We Are"and "Gonna Need Some Love Tonight", which has written the word "HIT" all over it. Furthermore the anthemic "10 x Bigger Than Love" (with Def Leppard's Joe Elliott on guest vocals!) and the rockin' "Neon Heart" belong to the absolute highlights on this album. But also the rest of the songs are well-crafted and solid Melodic Rock tunes, Vega simply understand their craft and so there isn't much to complain about. 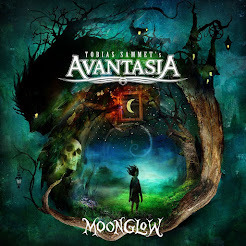 Beside the title track only "My Anarchy" and "Tears Never Dry" couldn't convince me that much, because here Vega get a bit too repetetive and the hooks can't keep up with those from the rest of the songs. Productionwise the whole thing sounds quiet fresh and enjoyable. The band is tight and especially the double-layered guitars on some tracks put a smile on my face. Singer Nick Workman goes again to the extreme of his lungs and demonstrates his huge vocal range. So what is left to say? "Stereo Messiah" is again an essential purchase for every Melodic Rock fan and in my opinion Vega's strongest effort so far. That's simply because fillers were reduced to a minimum and so the huge arena-anthems can shine and unfold their magic - without major interruptions. Well done!